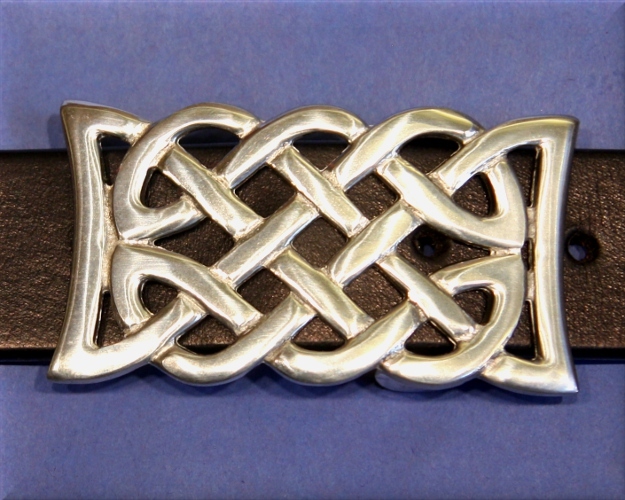 Home :: Belts :: Everyday Belts :: Pewter Buckles $40-$110 :: Celtic Knot Buckle 1 1/8"
Pewter openwork. This buckle has a solid bar for the belt to fit onto and the other end has a strong prong to push through the hole in the belt. To get the best fit on your belt, please use our sizing guide and indicate in the comments which method you measured by. 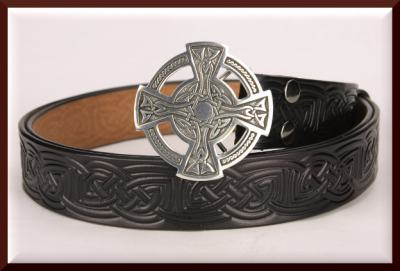 Enter a zero for size if you are ordering the buckle only.